This option is sold-out for a private booking eff Nov 13, 2018. FULL DINNER CRUISE OPTION is also sold-out eff Dec 11, 2018. 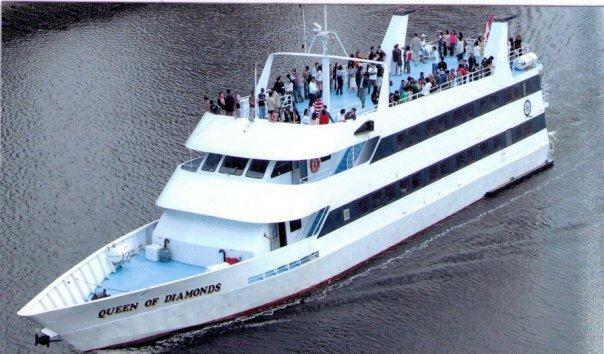 This is a special event New Years Club-style Appetizer Dinner Dance Party Cruise on M.V. Queen of Diamonds - NO MINORS permitted. 4 hour cruise and 1 hour boarding. Appetizers and party favors included. DJ will host dance playing the top 40s line-up mix. 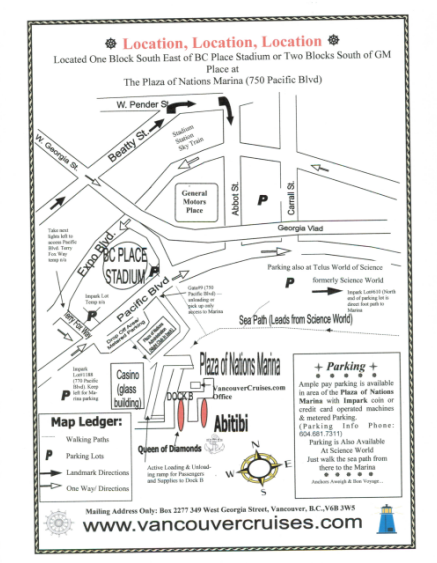 Fully Licensed Bar available (accepts Cash, Visa, Visa Debit MasterCard or Interact) Map of boarding location at Plaza of Nations Marina and parking information included by email with each ticket order. Ticket orders accepts Visa, Visa Debit or MasterCard. Tickets are non-refundable.